A bill championed by Sen. Mike Foote, D-Lafayette, is the most accessed bill on the Colorado legislature's website and could eventually change how the United States chooses its president. 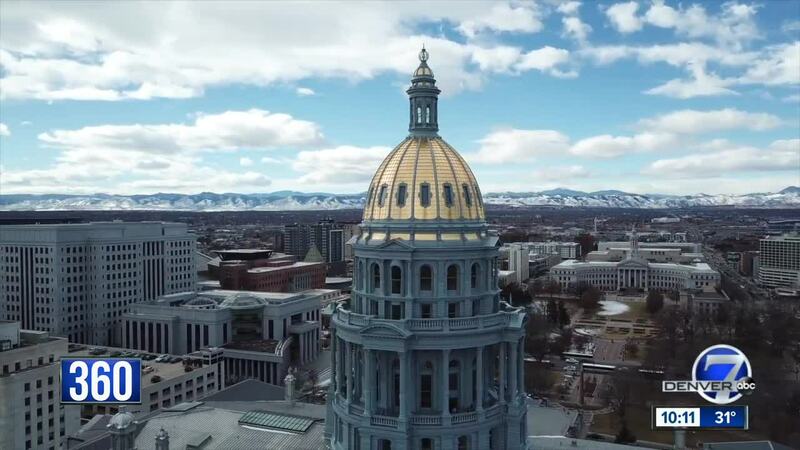 DENVER -- A bill championed by Sen. Mike Foote, D-Lafayette, is the most accessed bill on the Colorado legislature's website and could eventually change how the United States chooses its president. "The bottom line is that every Coloradan should have their voice heard," said Foote. Senate Bill 19-042 , if passed, would make Colorado the 13th state to join what's known as the National Popular Vote interstate compact. States in the compact agree to award all their electoral votes to the winner of the national popular vote, no matter which presidential candidate wins in their state. But there's a trick. It only goes into effect when enough states representing 270 electoral votes sign on, which is the number of votes a candidate needs to win the presidency. So far, 12 states with a total of 172 electoral votes have already joined the compact. Colorado would bring nine more, so 89 more electoral votes would be needed if the Colorado proposal passes and is signed by Gov. Jared Polis. Foote views the existing winner-take-all system, which awards all of Colorado's nine electoral votes to the popular-vote winner in the state, as anti-democratic. "Those that vote for the candidate who didn't receive the majority of votes in that state are not heard," he said. Foote said this is about making sure every vote counts and every voice is heard, not only those in the 12 battleground states. Hillary Clinton won the 2016 presidential popular vote by nearly 3 million votes but lost because Donald Trump won in the Electoral College system. Two decades ago, Democrat Al Gore saw the same fate. In both recent cases the loser was a Democrat, which has led some to question if the Colorado proposal stems from nothing more than partisan sour grapes. Foote says that's not the case. "It's not just about the last election, let's be clear about that. The idea of the national popular vote has been around for a long time," he said. "It's been a bipartisan idea for a long time and perhaps the emotions from 2016 are still a little too raw." Foote also points out that Republicans came very close to having the same outcome during the 2004 presidential election. "John Kerry lost the national popular vote by over 3 million, but if he would have flipped just 60,000 votes in Ohio, he would have been the president," explained Foote. "I think it takes away the ability for Colorado to be a player in the national election," said Sen. Jerry Sonnenberg, R-Sterling. Sonnenberg believes our forefathers were brilliant and that the Electoral College protects the interests of smaller states, which he says should not be overrun by states with much larger populations. "When you have a little bit of extra power, why would you cede that to New York or California or the rest of the country?" he said. Sonnenberg said he thinks turning into a national popular vote state will take away Colorado's ability to be relevant in any future presidential elections. "Colorado probably wouldn't be a player. We wouldn't see presidential candidates come to Colorado," he said. There are alternatives that don't involve abandoning parts of the Electoral College. All states could adopt what now exists in Maine and Nebraska, where all but two electoral votes are chosen by congressional district. The other two go to the statewide winner. So, what is the right thing for our democracy? The answer to that question is clearly a matter of perspective, but there seems to be momentum at the Capitol for Colorado to move to a national popular vote state – with new Secretary of State Jena Griswold backing the measure earlier this week. Foote's bill passed out of State, Veterans, & Military Affairs committee Wednesday and is now slated to be debated in the full Senate on Monday.